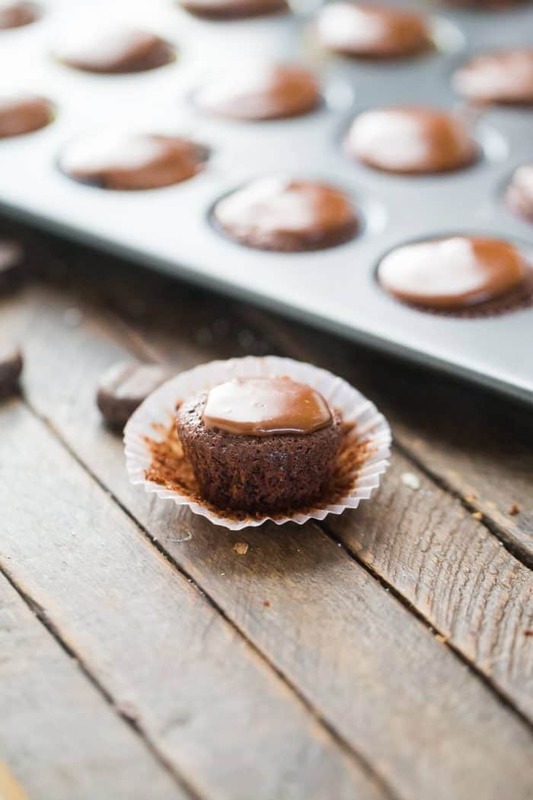 This two-bite fudge brownie recipe is perfect when you just need a little taste of decadence! The swirled mint candy and chocolate frosting transform these from ordinary brownies to a drool-worthy dessert! I really do share the belief that good things come in small packages. In most cases, this saying means that something does not have to be large in size to bring us joy and happiness. Smaller items can have as much quality and value as anything twice it’s size. I wholeheartedly believe in this saying; especially when it comes to food. Small food can be GOOD food. 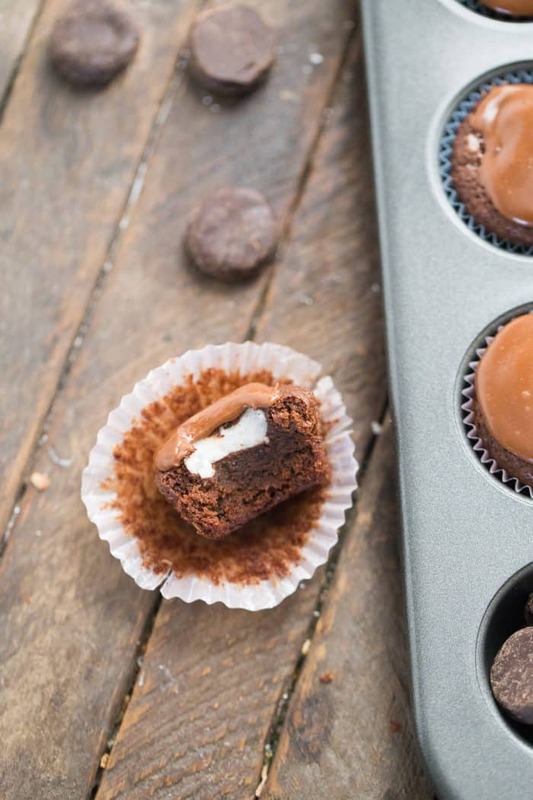 Take these donut holes, mini cheesecakes, salted caramel brownies or pretzels. They each pack in as much flavor as their full-sized counterparts. I may go as far as saying that their flavor is even more intense because of their tiny stature. Small food can really pack a punch! This is certainly true when it comes to this mint fudge brownie recipe. The fudge brownies are the best; they are little dense and a little fluffy all at once. I baked these in mini muffin tins, but you could bake this batter in a traditional 9 x13 inch pan instead. You will have to double the cook time (test your brownies at about 18 minutes to see if a toothpick inserted in the center comes out clean). My frosting comes in two parts. When I removed my tiny brownies from the oven, I placed a mini Peppermint patty on top of each one. I returned my brownies back to the hot oven for just a minute. When they came out, I carefully swirled my Peppermint patty and then let the brownies cool completely. I followed this up with a rich and silky chocolate glaze. This fudgy brownie recipe is going to become a favorite. Two-bite treats are fun and easy to eat. Come to think of it, you may want to make a double batch. These brownies may be a little TOO easy to eat! Preheat the oven to 350 degrees. 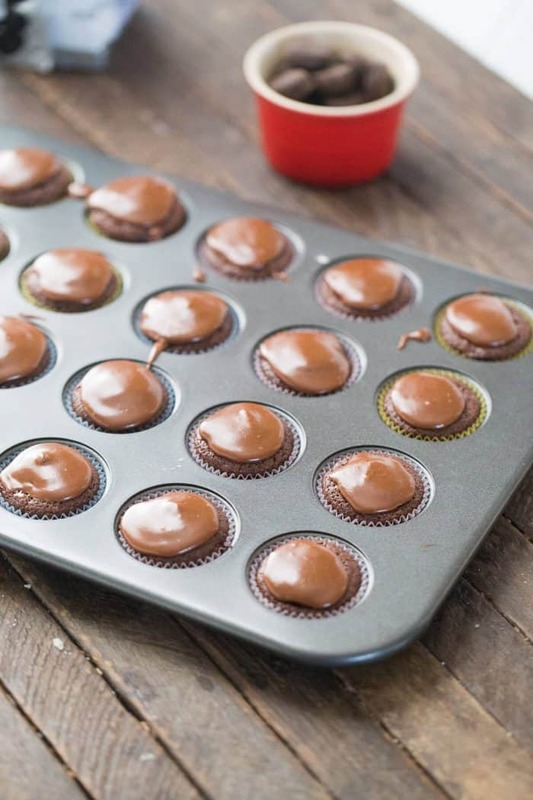 Line two mini cupcake tins with liners and set aside. Place butter in a microwave safe bowl and heat until butter has melted. Stir in sugar until the mixture is glossy. Heat just another 30 seconds or until bubbly. Stir in cocoa powder, salt, baking powder and both extracts. Mix in eggs and flour. Mixture will look a little grainy. 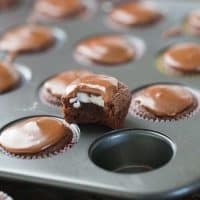 Use a small cookie scoop to fill each cupcake liner. Bake brownies for 12-15 minutes or unti set. 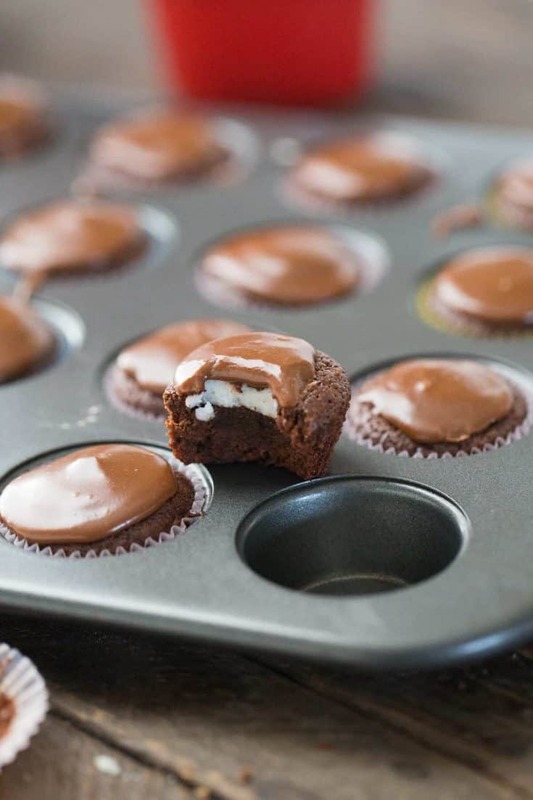 Immediately place a Peppermint Patty onto each brownie and return tins to the oven for 1 minute. Remove the brownies and gently swirl the pattys. Allow brownies to cool. To prepare the frosting, melt butter and milk together in a small saucepan over medium heat. When butter as melted, whisk in powdered sugar and cocoa until combine and creamy. Remove from heat and stir in vanilla. 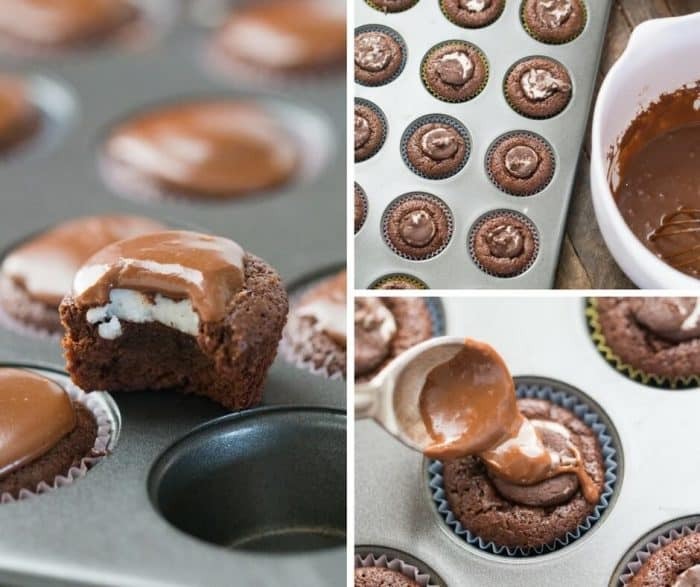 Carefully spoon frosting over each brownie. All frosting to set. You’ll have to tell me how you like it!